Be sure to send me photos, but please not between this Thursday and a week from Friday, as I’ll be in Croatia then. 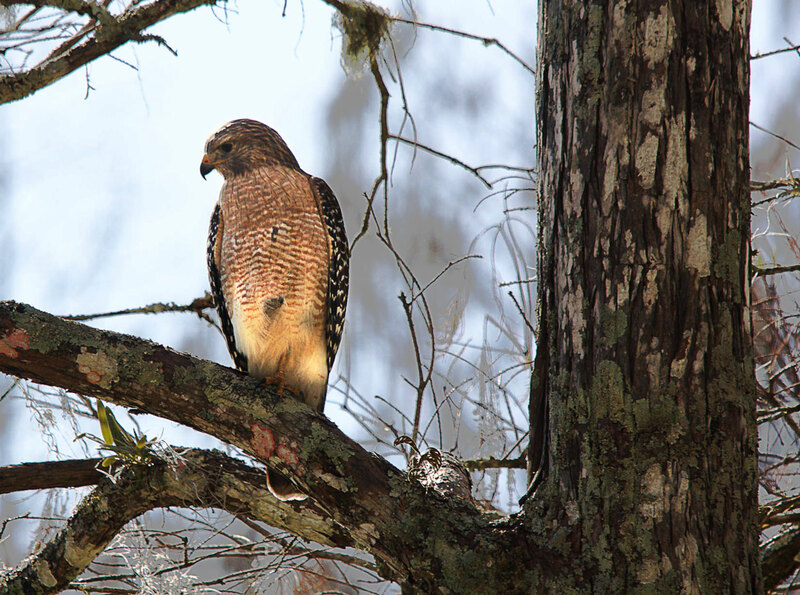 Today’s swell photos of birds (and a squirrel as lagniappe) are from reader A. W. Savage, whose comments and IDs are indented. 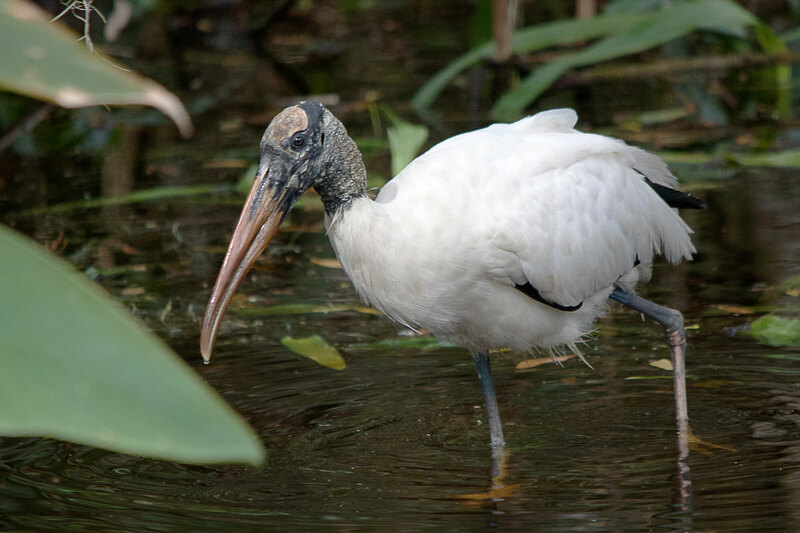 Here are some photos from a few years back, all taken during a holiday spent in the area around Naples in Florida. 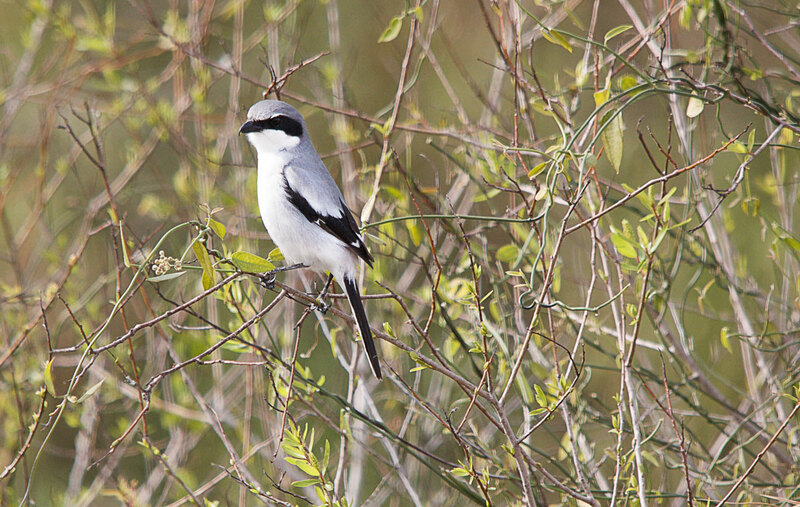 The first two are of Loggerhead Shrikes (Lanius ludovicianus), perched out in the open, probably looking for prey. 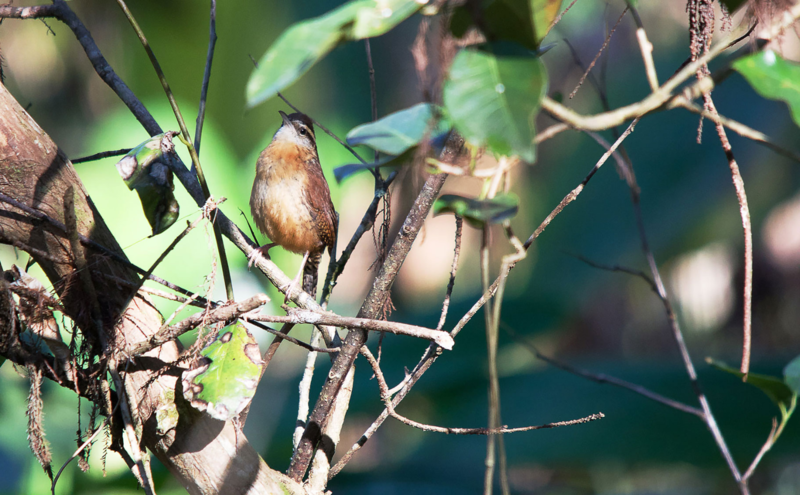 Next, a Carolina Wren (Thryothorus ludovicianus). 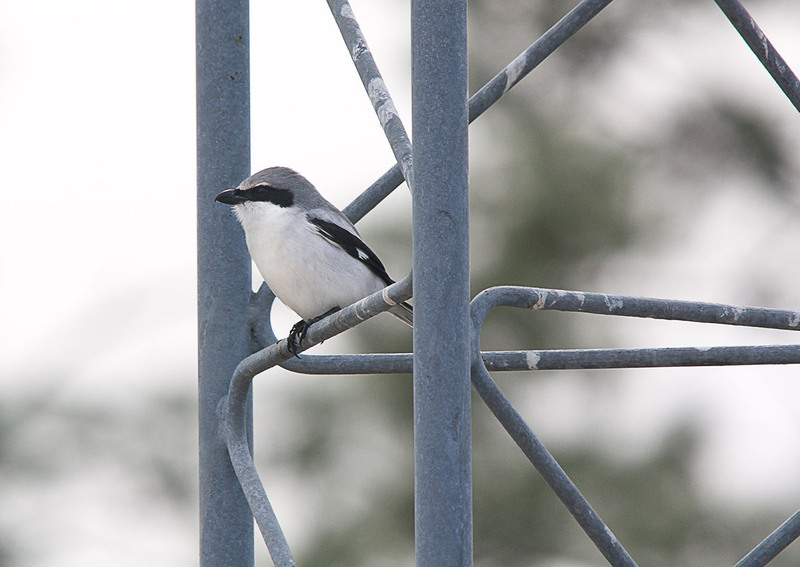 The bird was singing loudly and took no notice as we crept up closer to get a better view. The next five photos were all taken at Corkscrew Swamp, a wonderful reserve with boardwalks to let you thread your way amongst the swamp cypress trees without getting your feet wet! They are, in order, a Painted Bunting (Passerina ciris), a Red-shouldered Hawk (Buteo lineatus), a Wood Stork (Mycteria americana), a Tricoloured Heron (Egretta tricolor) and a Pileated Woodpecker (Dryocopus pileatus). Finally, knowing your fondness for squirrels, here’s an unusual one, photographed in a small stand of trees not far from the entrance to Corkscrew Swamp. 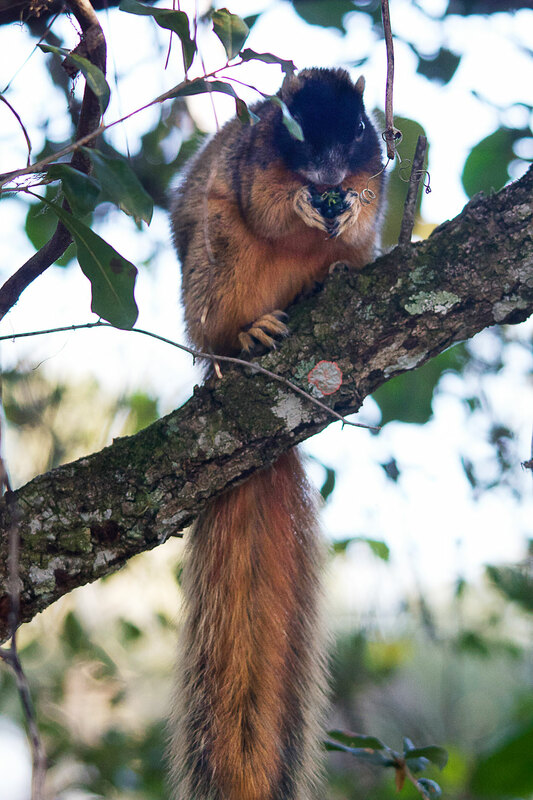 It’s a Sherman’s Fox Squirrel (Sciurus niger shermani), a subspecies of Fox Squirrel found mostly in Florida and Georgia, in fire-prone areas of longleaf pine and wiregrass, especially around sandhills. The colour is very variable, but this one was a most attractive gingery hue underneath and dark on the back. They are also very large squirrels. It was much bigger, to my eyes, than the common American Grey Squirrels now infesting most of the British Isles, or our native Red Squirrel. It appeared to be nearly three feet from the tip of its nose to the tip of its tail and bulkier to match. This entry was written by whyevolutionistrue and posted on October 9, 2018 at 7:45 am and filed under birds, mammals, photography. Bookmark the permalink. Follow any comments here with the RSS feed for this post. Both comments and trackbacks are currently closed. Lovely! Corkscrew Swamp is now on my list of places to visit in the near future. Count me in as well. I hope the hurricane season leaves it intact. Nice pictures. 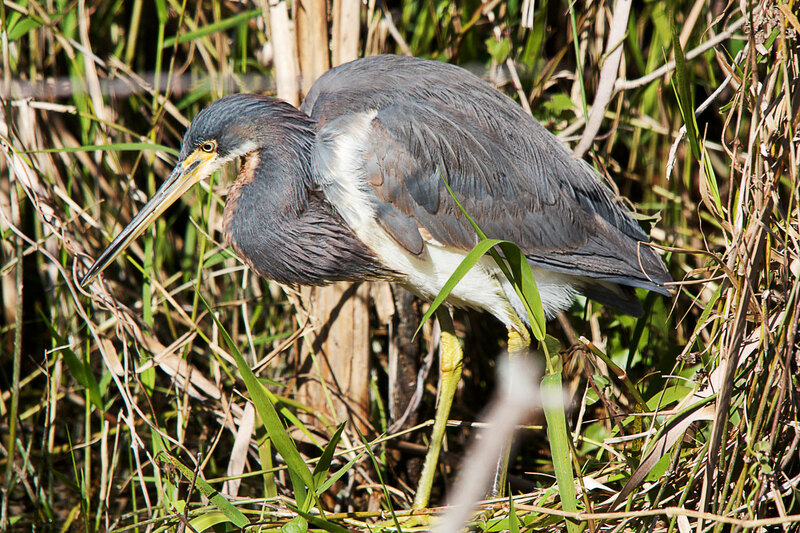 Love the heron. That is one huge squirrel. 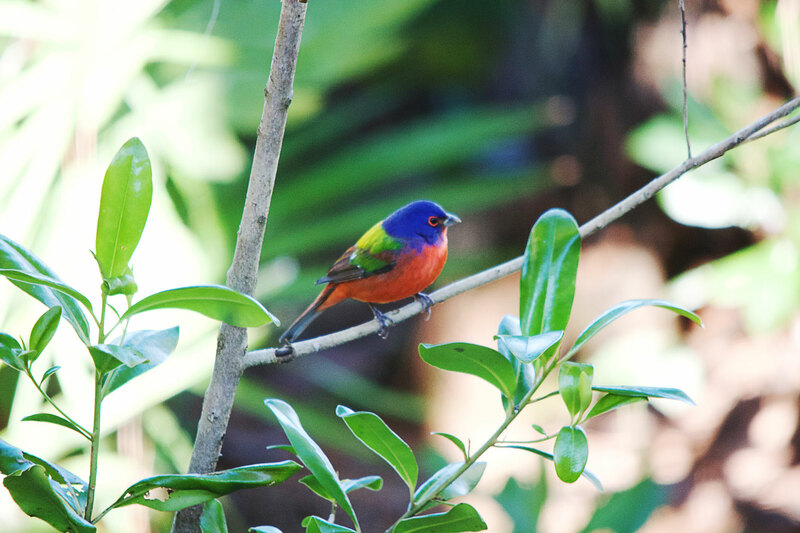 Beautiful birds…I had no idea Florida had such a colorful bird like the painted bunting. Gorgeous. Beautiful pictures! 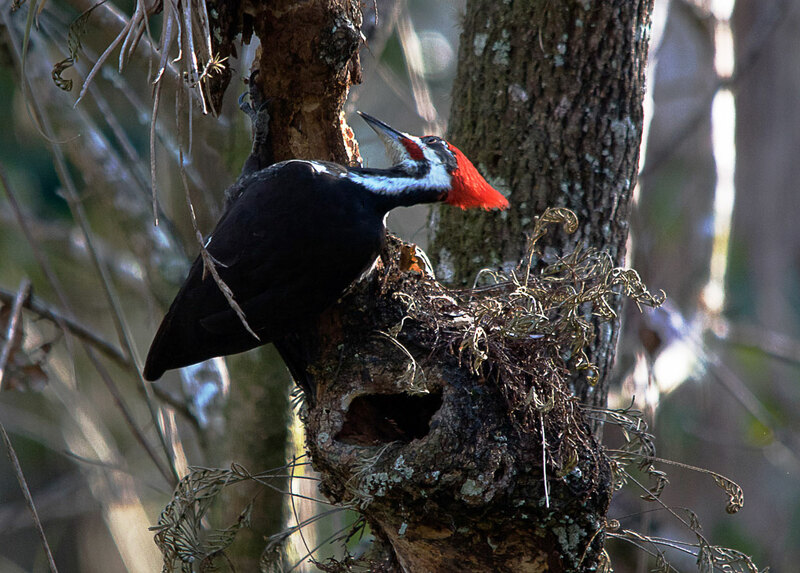 Love the pose and lighting of the Pileated shot. The painted bunting is fantastic – it looks, well, painted! And the first bird is cute.